If you think it’s tough being the scarred, wise-cracking Deadpool in the world of superheroes and villains, you haven’t heard what writers Rhett Reese, Paul Wernick and the film’s other creators had to go through to make his movie a reality. Mere days before the film was set to get an official green light, the writers, director and producers sat down with 20th Century Fox executives, and were given a near impossible task. It wasn’t easy. The duo had already been tinkering with their script and making changes at least once a year over the course of six and a half years of development. The most radical of those changes involved creating a version that dialed the film’s violence and balls-to-the-wall humor down from R to PG-13. Thankfully, that didn’t stick, but several other changes did. Including some last-minute changes that were done purely to trim the budget. But in the end, Reese and Wernick felt like that $7 million reduction was really what brought the movie together. Fans had been aware of what Reese and Wernick had in mind for the popular Marvel character for years. One of their earliest versions of the script had leaked online in 2010. On a typical movie, that would be a disaster. For Deadpool, it was a blessing. At a time when Fox was hesitant about making the movie, fans embraced the script and started to get vocal about it. A few years later, another leak—this time some test footage of the freeway fight scene—was the true turning of the tide. That scene remains in the movie, as well as about 70% of the story and dialogue from that first, leaked script. But now that the movie is finally here, the next challenge begins: How to fit Deadpool into the X-Men universe. Since Reese and Wernick wrote that first script, the concept of a single “shared universe” that includes tons of different characters and subgenres has grown massively more important. Marvel’s Cinematic Universe has become a huge juggernaut, and DC is creating its own version now. Meanwhile, Fox has tried to tie all its X-Men movies together, and even connect them to its failed Fantastic Four relaunch. But Deadpool wasn’t really part of Fox’s “shared universe” plan—it was almost willed into existence by fans, with a tone that is so radically different from everything else, it’s going to be challenge to find a balance. Which is how it works in this movie. There are multiple X-Men connections in Deadpool—two of the biggest (that aren’t spoilers) are the inclusion of Colossus and Negasonic Teenage Warhead. Reese said these characters, and the other links, were a key component of getting the movie right. Something else happened during that long six and a half year wait too. 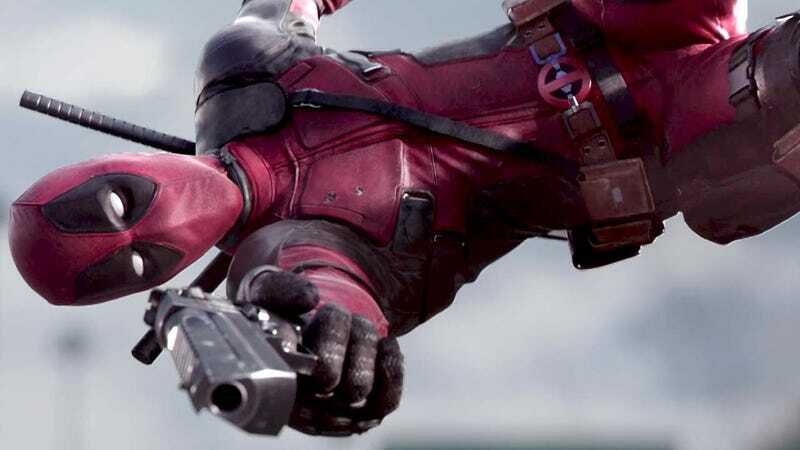 Several superhero movies that shared tones and ratings with Deadpool were released that made audiences, and definitely movie executives, more open to the idea of a hard R-rated superhero. If everything goes well, “outside the box” is a place Reese and Wernick hope to stay. And, this time, it’s hopefully going to take much shorter than six years for it to happen.